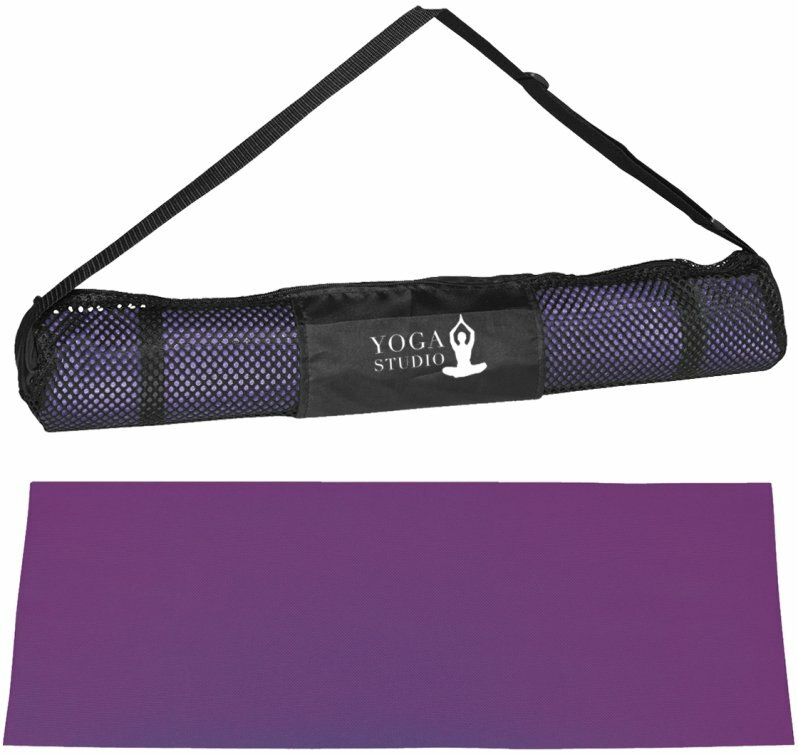 Sleek, clean lines the Printed Yoga Carry Bag Mat as promotion gifts. Apps include yoga gatherings, fitness clubs, promotional products. Yoga mat made from soft vinyl for superior traction and comfort. Mat rolls up in nylon mesh carry bag w/ adjustable carry strap. Yoga mats carry bags are black. 4 Brite Yoga Mat Colors. Normal delivery from date of yoga mats order 3 weeks. Price includes a one color imprint front bag area 4" w x 3" h.